CyberPower Inc. and online retailer Newegg announced they have a special Cyber Monday deal, the Intel Core i5-based Gamer Xtreme 1030 gaming rig. This all-in-one gaming rig is fully equipped—especially with the fast computations of the Intel Core i5 Quad-Core Processor and speedy 4GB of DDR3 1333 –- to play the most graphically-intense games this holiday season. The Gamer Xtreme 1030 features 500GB of storage space, SATA II interface to ensure fast data transfer, and a NVIDIA GeForce 9500GT video card for pixel-perfect images. 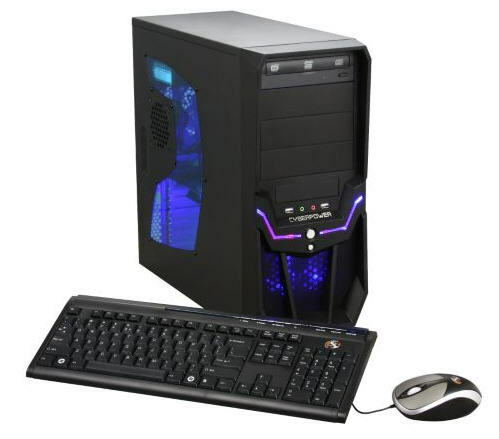 The Gamer Extreme also features a cool Raidmax Hurricane Gaming Case, keyboard and mouse. The system comes pre-loaded with Windows 7 Home Premium 64bit operating system. CyberPower says you can save yourself time this holiday season, rather than configuring your own system, you can bring home the Cyberpower Gamer Ultra 2019 today for $649.99 and get free shipping to the continental US.